Hello all you beautiful people! Today’s post is so exciting for me, because its my daughters wedding! 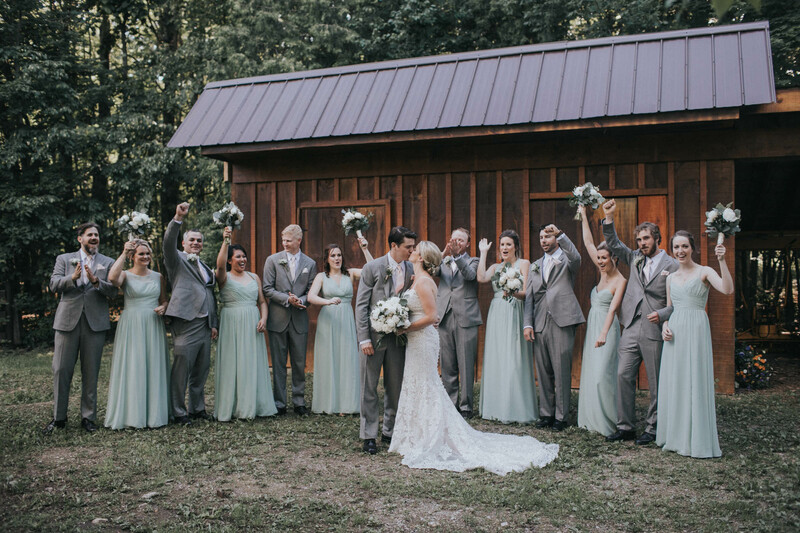 Last year they planned a beautiful fall wedding in just a few months and gathered at Valley Croft with their families and best friends. 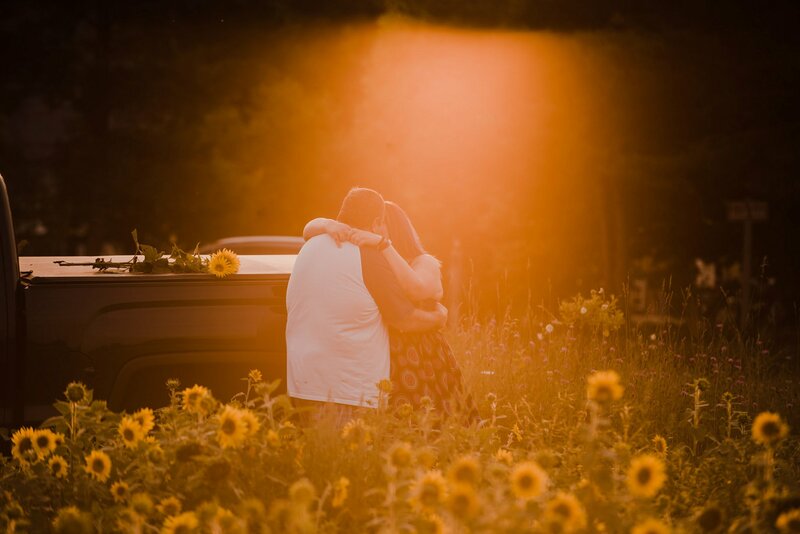 The day was so beautifully documented by my friend Kristin, and her second shooter Emily is also a friend of mine. It was really an honour to be there, and being on this side of the fence really gave me a lot of perspective of how a wedding photographer can make or break your day. I actually assisted the photographers a few times because its just too fun not to lol! We played with some off camera lighting and used Atmosphere Aerosol for a few really dramatic shots. Its almost been a year so Brittany and I are working on her album in time for their first anniversary. 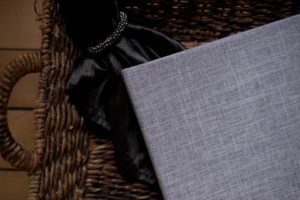 They simply cannot imagine sitting with a laptop and clicking through their memories, so they opted to have a 100 page, deep matte photo album custom made for them, with some custom detailing on the first spread. 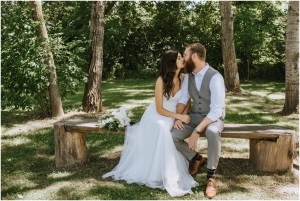 The album is on order so I will be sure to post photos of it when it arrives, but for now, take a look at their wedding album slideshow, or scroll through the actual album spreads below to see their custom album. I will write another post on the process behind creating an album, pro tips, and also info on how I can help you design your album (whether you are the consumer, or photographer looking to reduce their workload, and free up time to do other important things), so stay tuned for that! All photos by Kristin Peereboom Photography, Album Design be Me. Below is all the final spreads. Note Because, sometimes you just cant choose; Brittany & Scott chose to combine some black and white photos into coloured spreads, breaking some of the “rules”. We’re rebels like that. I think it looks freaking gorgeous this way too. 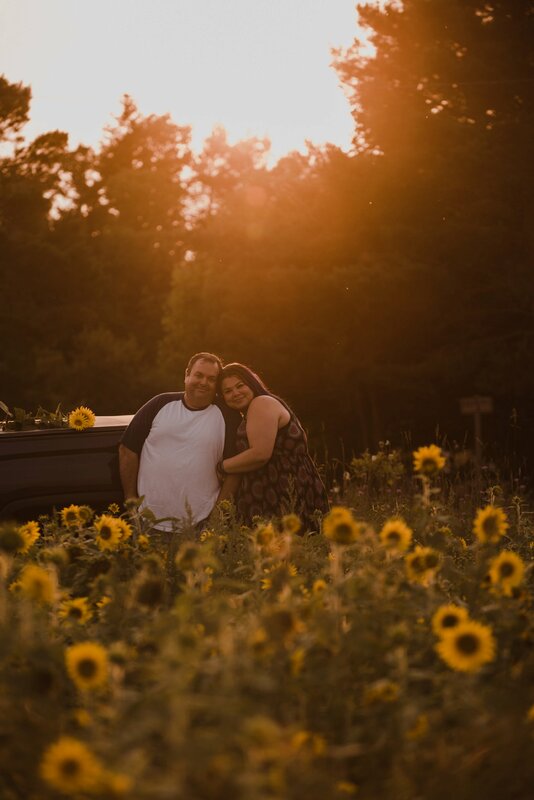 These Hanover Engagement Photos of Char & John were taken at a Pick Your Own sunflower fields just east of Hanover Ontario on Grey Rd 4. Late Summer engagement photos are my fave, as the sun is so huge in the sky at this time of year for us, which at golden hour on a clear day, God willing; its just magical. This particular day in August threatened thunderstorms (and I think it rained that morning even), but we were lucky to get out and have that warm, rich sun to play in during the session. Char is a long time friend and client of mine – I’ve been photographing her family since the very beginning of my photography career. I witnessed her family grow, and she stood by with me as my business grew. Meeting the love of her life was such an honour and witnessing their easy way of being together was so sweet, that to just say I’m happy for her would be an underestimation. 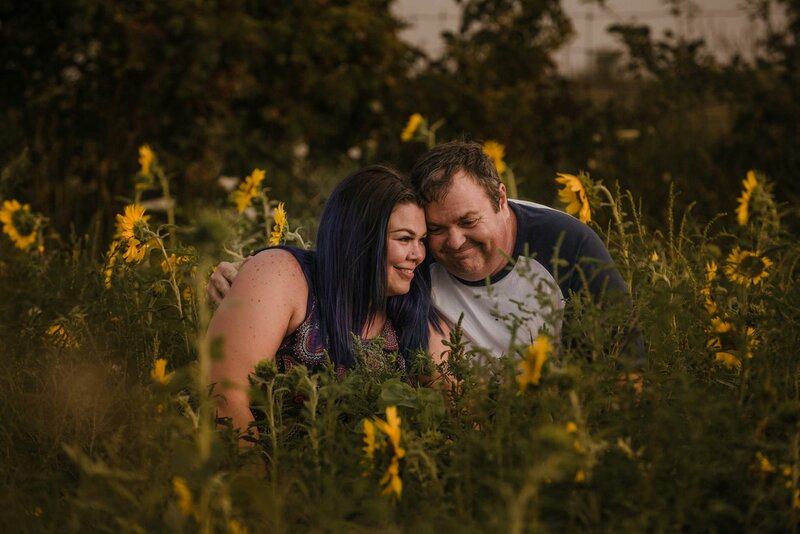 Char’s purple and blue locks looked so good with her sundress, which was a perfect contrast to the sunflower field; and John kept it casual too in a retro ball tee. 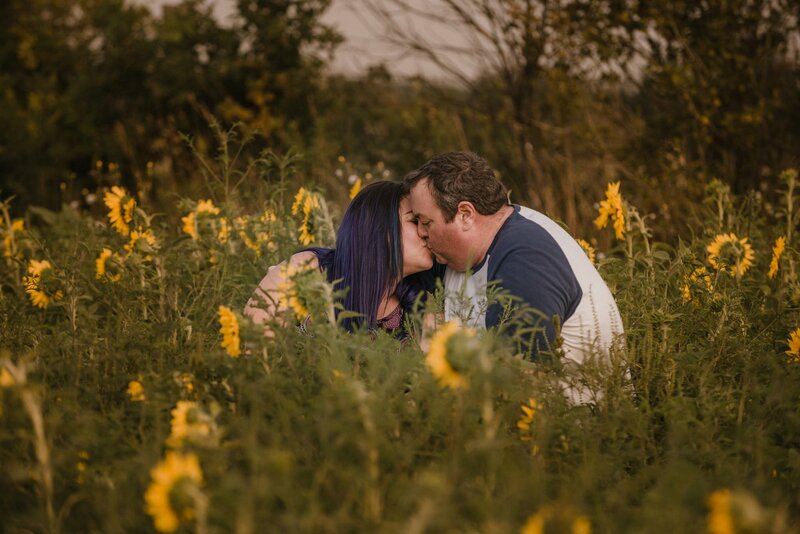 I found out that John had brought Char sunflowers on their first date too, so this location I had chosen for them was basically meant to be! 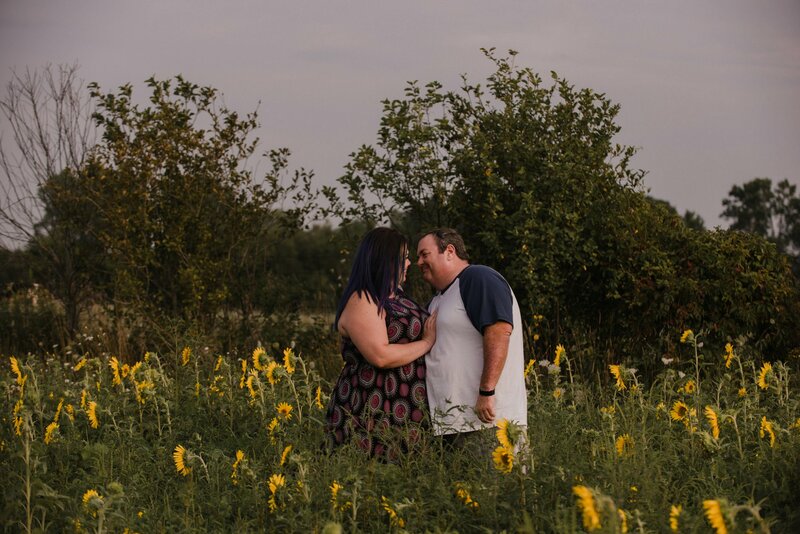 I cant wait to document their winter wedding! They filled me in on all the things they’re planning and it sounds so beautiful! 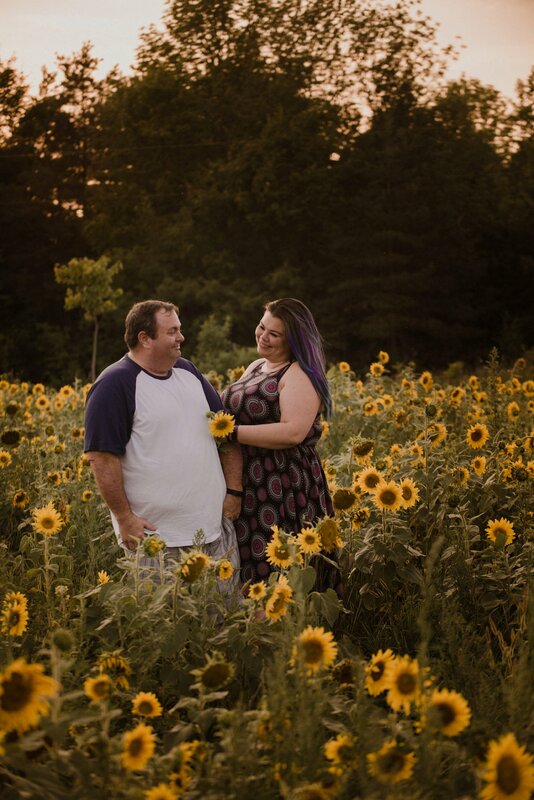 Well enough babbling, here is a sneak of Char & Johns Sunflower Field Hanover Engagement Photos! And there you have it! 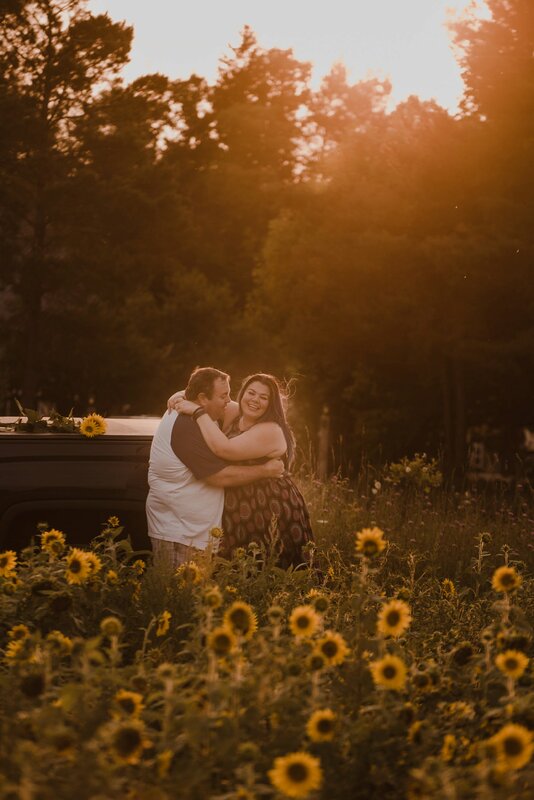 Hanover engagement photos in a sunflower field during golden hour. Im REALLY excited to share this wedding with you. I shot it just a couple days ago – and obv still editing, but I had put together this slideshow at the wedding, and had shared it briefly there, so here it is world! Sonya & Josh’s super chill, non traditional wedding!!! 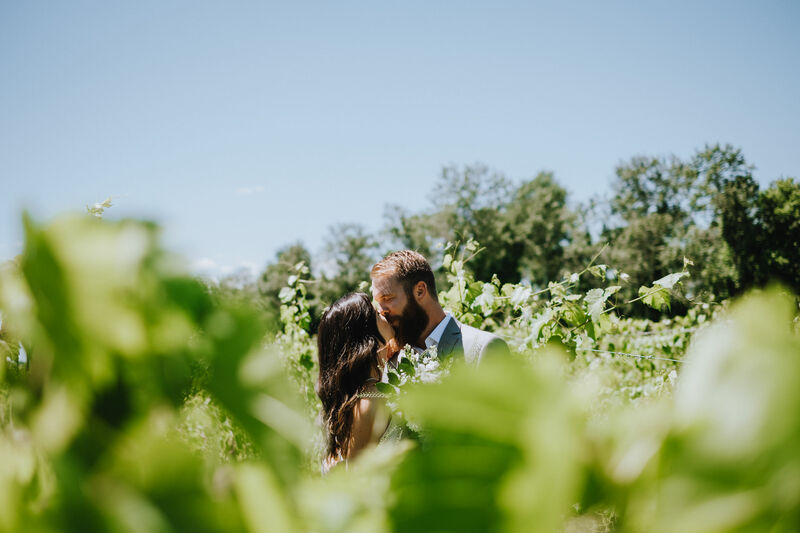 I’ll update this in a bit too, with actual photos, and stories – I have so much to say about this wedding, it was so unreal! 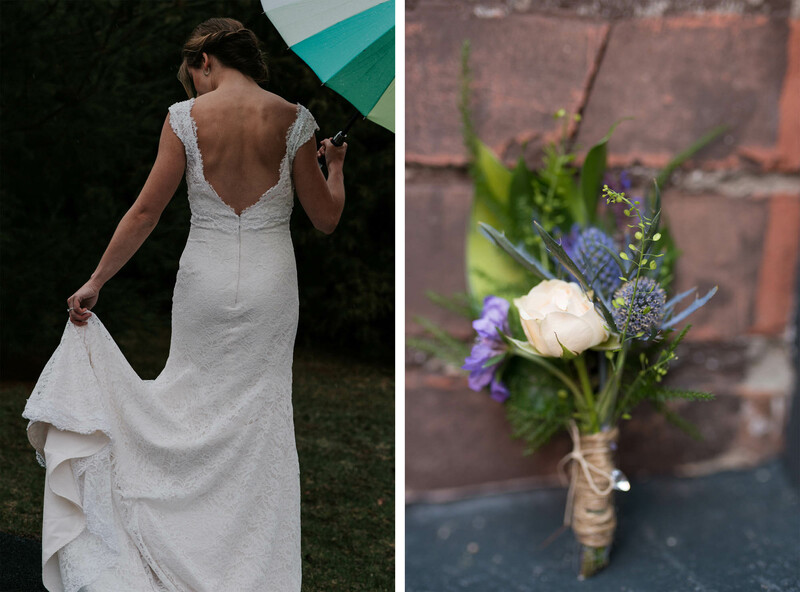 So stay tuned – but for now, enjoy their sneak peek slideshow! If you’re coming across this post in search of non traditional wedding photos, feel free to drop me a line here! 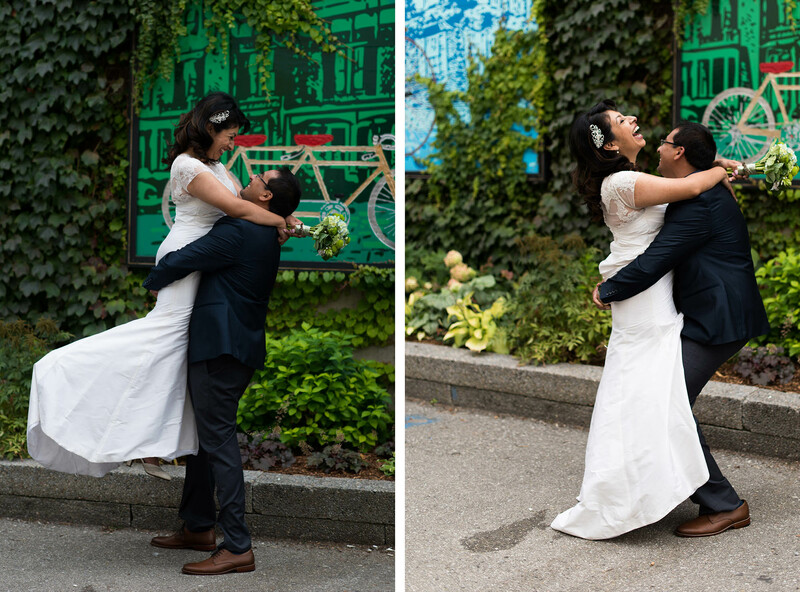 How Long Does It Take To Get Wedding Photos Back? 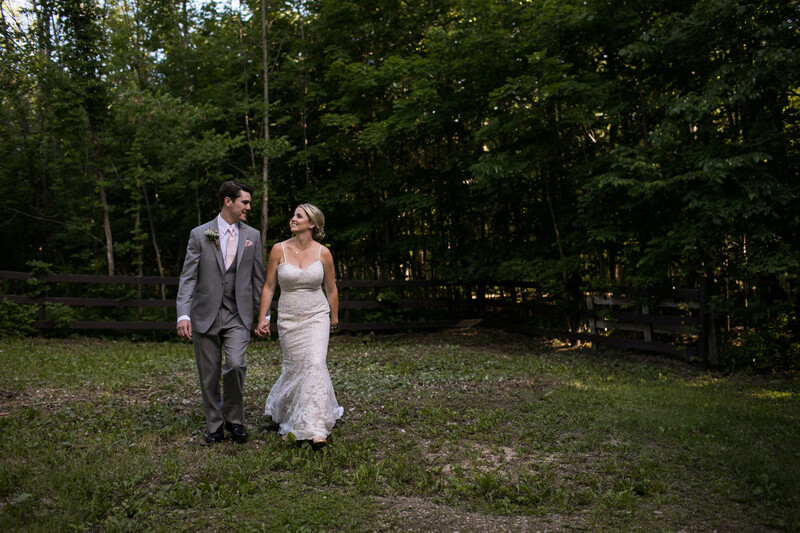 Your Questions Answered: How Long Does It Take To Get Wedding Photos Back? Welcome to the my latest blog series: “Your Questions Answered”. I am writing to expand on the top questions I am asked by clients, and that I asked once upon a time too! In fact these questions are probably the top asked questions to all photographers. 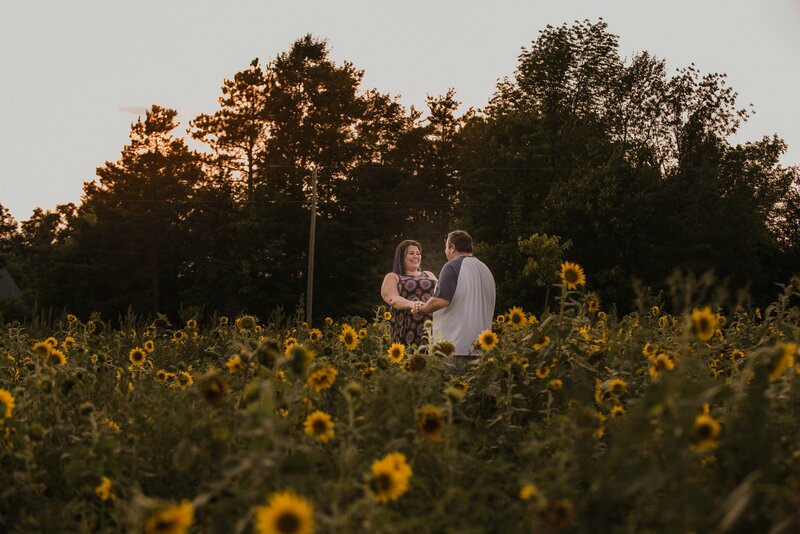 In this article I will expand on how long it takes to get wedding photos back, but if you have some pressing questions right now, chances are Ive answered them on my FAQ page, but always know you can contact me at any time with any question. (And you KNOW there are no dumb questions – just so we’re on the same page). “The optimum goal here is to “get it right in camera” so that when I get to editing its just a matter of putting together the best gallery I can for you. Mostly the time it takes from start to finish depends on the length of coverage you chose, as well as the season you got married in. In any event, I like to ensure that you have your images within six weeks, but please understand if it takes closer to 8. Great lighting conditions, that allow us to shoot nice, clean, well exposed images that will be quick to process for colour and white balance. 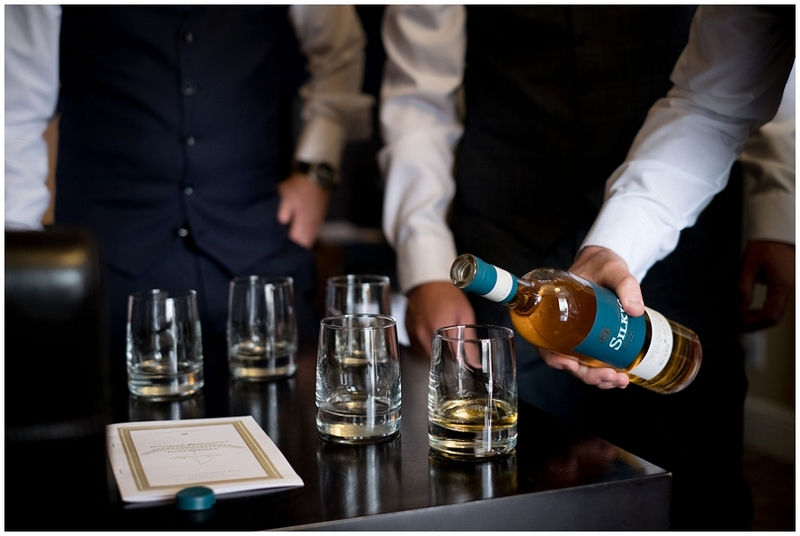 Doing our best to adjust the white balance as we go saves time as well, but sometimes mixed lighting conditions such as overhead lighting and natural window light mix, and create a challenge for us. I hope this isnt too techy, the important take away here is that I want your skin to look nice, and your dress to be the colour that it is. Don’t stress if you are getting ready or getting married inside, we will always produce beautiful images, regardless of editing challenges. Generally outdoor ceremonies are the fastest for me to process, especially those that take place all in the same location. Nailing Family Photos is another thing worth mentioning. When Im doing family photos, I try my best to keep everybody’s eyes on me but that doesnt always work out. 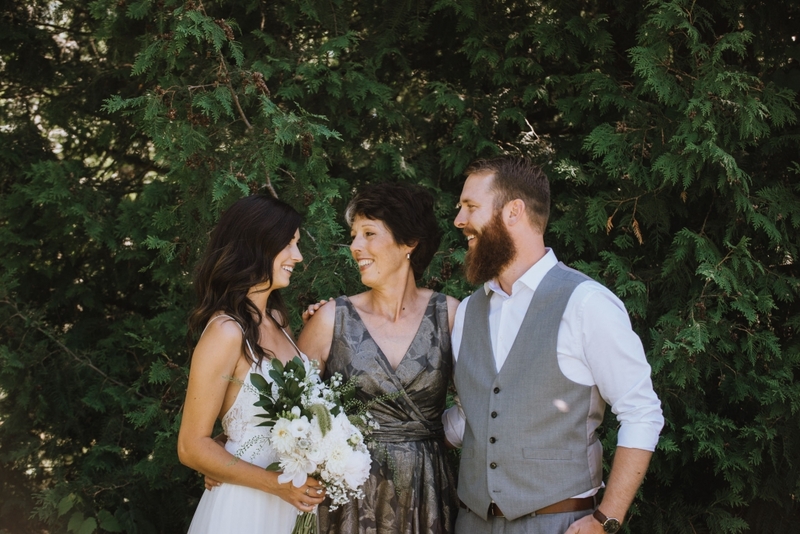 In general, weddings are social and guests and family members are excited to see each other and chat so eyes tend to wander, and mouths tend to talk lol! Have you ever had the mouth open photo of youself? Nuff said! While I try not to photo shop one set of eyes onto another, and reserve these kinds of edits for the album or prints, it does take me longer to cull and choose the best possible frames – ones that we can eventually combine into one good image. I try my BEST to avoid awkward expressions and ensure all eyes are open, so that you will have happy family photos right out of the gate. Its the same with posing too. I take my time to get a connected, natural pose that wont leave us wishing we had have moved Uncle Jim just slightly to the left. 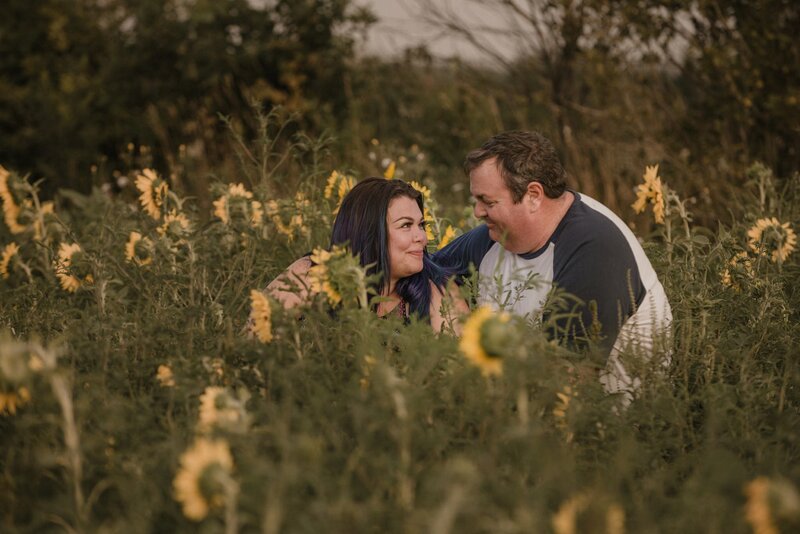 If you are having a 3 hour elopement, your photos aren’t going to take me much longer that an engagement session to get back to you. Half day coverage will be more time than that, but not near as much as full day coverage, which can sometimes go as long as 12 hours. It makes sense that a 12 hr wedding would take nearly twice as long as a 6 hour one (but it actually isnt 2x as long, dont worry). Every year is different, but if I had to hazard a guess, Id say fall in Ontario is by far my busiest season. Summer is a close second. So if you get married in February, chances are I can edit your wedding, and have it back to you in 3-4 weeks time, whereas a September wedding (which I have one Saturday opening for BTW) might take up to 8 weeks. It’s always my goal to get things to you faster, but Id rather spend the time to ensure its the best job I can do, instead of rushing through to meet a quoted deadline. I have a timeline based que for both events and portraits. 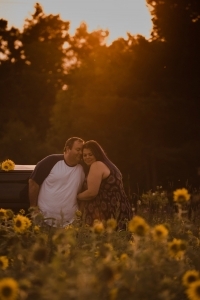 Someone who has their engagement session June 19th might receive their photos in 2 weeks, whereas someone who gets married the day after on June 20th might wait 5 wks. 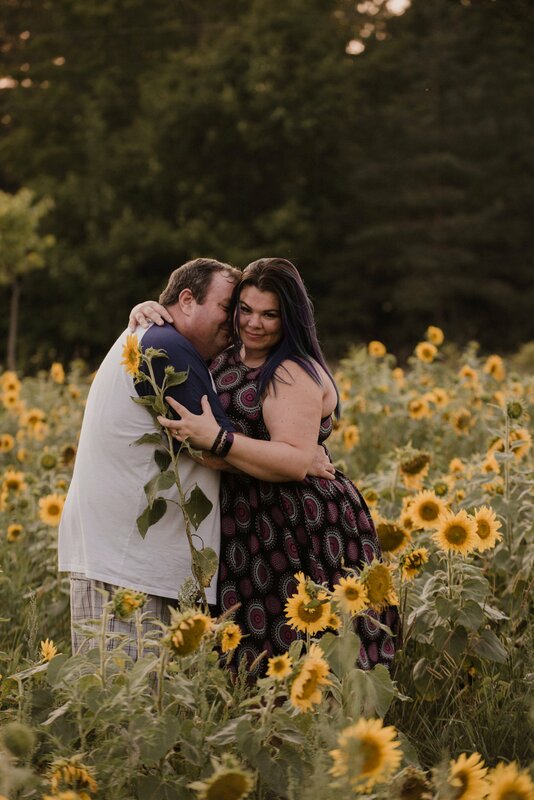 So while the engagement session will be faster to get out, the June 20th bride will get her photos before the couple who gets married June 27th. Does that make sense? It’s first come first serve for the specific type of work we do. Boudoir, Engagement, Families etc are all considered portraits. Birth and Weddings are events. Delivery of your wedding images is important to me, as is the collection of chosen images. How you view those images the first time around is probably the single most critical moment – and as a photographer, this is when you view my art! (Dont mind me, Im over here, biting my nails, waiting for you to let me know you love them!) I used to keep this a surprise, but to ensure that this first viewing experience is personal and special – all couples are gifted a photo slideshow of my favourite images, set to music so that you are guided through your story as it unfolded, instead of click, next. Click, next. Preparing this mp4 is an important part to me, but it adds a bit of time too. I hope this answered all your deeper questions on how long it can take to get your wedding photos back. If I missed something, be sure to let me know! 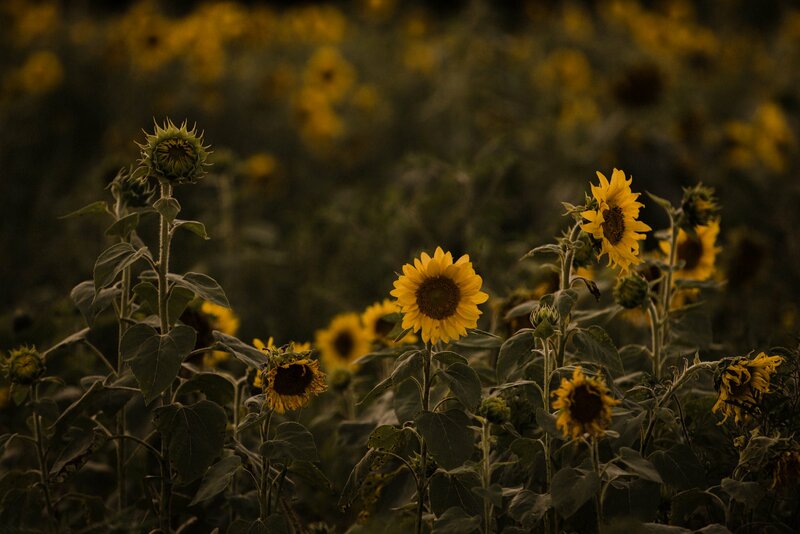 Next up in this blog series will be my editing style and approach, and which images get chosen for the final gallery. Stay tuned, but for now check out my post on why you may or may not need getting ready coverage. So here’s the thing. Im officially obsessed with shooting outdoor boudoir. Any boudoir really, but with outdoor boudoir, the woman really connects with nature and her true self. It is the most rewarding feeling to witness a women literally transform herself and come out with such a renewed sense of who she is and how strong and powerful she is. 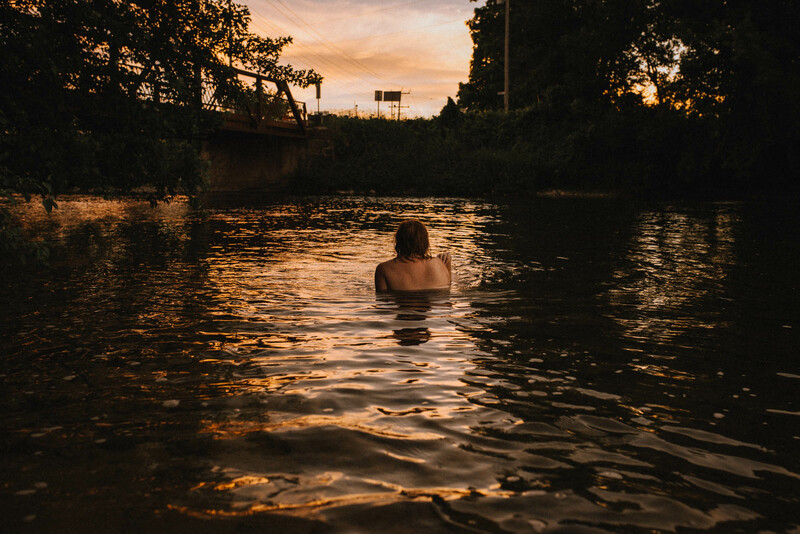 This river boudoir session was nothing short of amazing. I put out a model call a few weeks back to shoot this vision that I had of working at this river – which is really close to where I live. It was Jen’s response that blew me away the most, because “Im diggin my body confidence”. SOLD. So we had Erin Geunter come do makeup and hair in my farmhouse kitchen. We wanted a super fresh, organic, glowy look with loose hair that would play nicely with the wind here in West Grey. I do love wind blown hair. The most surprising part about this session, was not that there was some skinny dippin goin on, but that the water was SO WARM! I went in to change my perspective a few times and was floored at how comfortable it was. 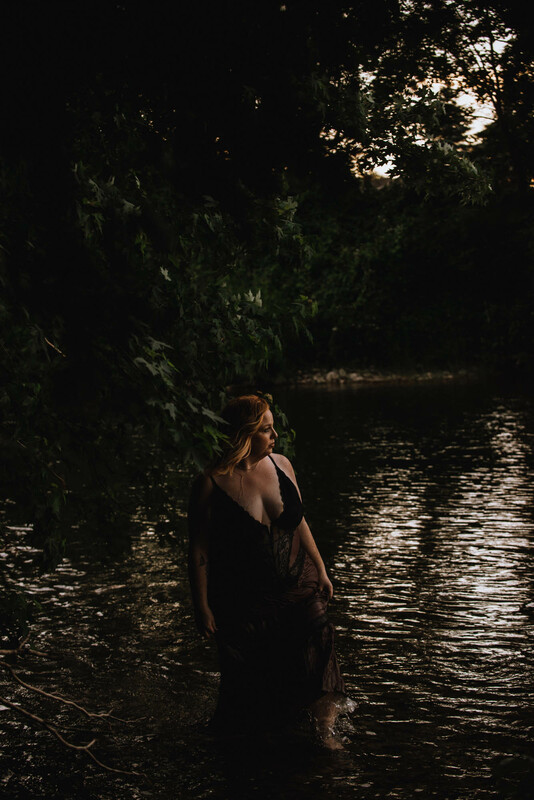 Jen rocked her river boudoir session – It was a powerful demonstration of confidence, empowerment and connection – with both her inner goddess and mother nature. 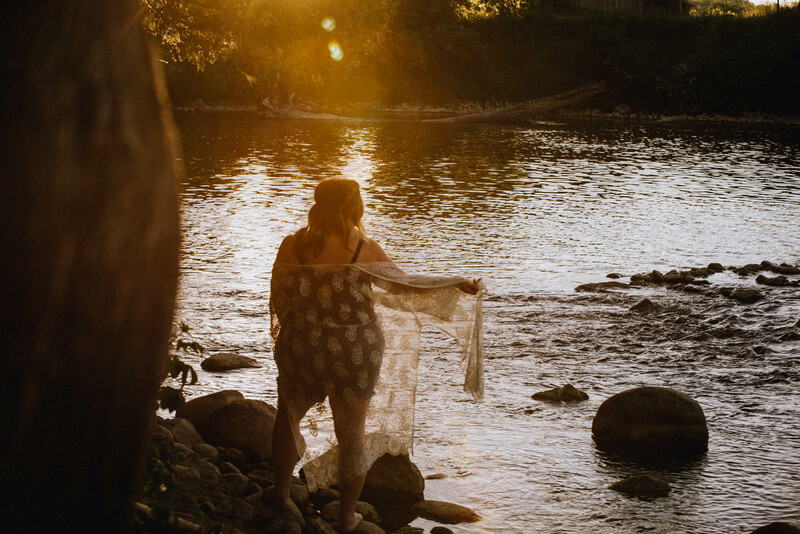 I cant wait to document this empowering time of your life with a river boudoir session! 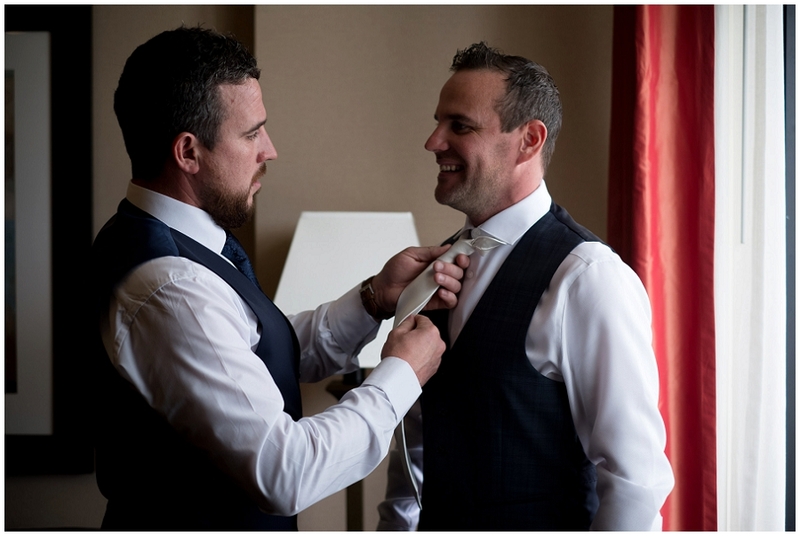 For the Groom: Do you need Getting Ready Photos? Getting ready photos are the foundation of your entire wedding story. 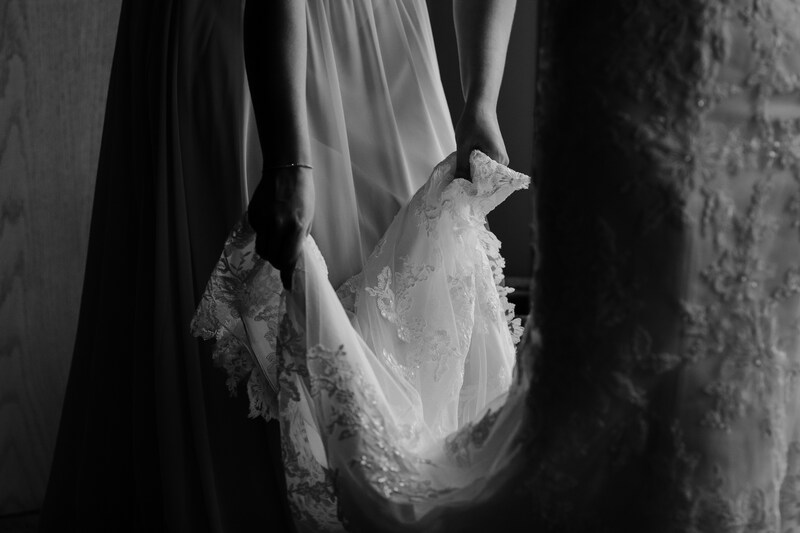 It’s here that I capture not just the clothing, details and colour palette you chose; but your mood and anticipation that you feel as you get closer and closer to the time you will walk down that aisle and become man and wife. It’s a time to capture the people who played a big part in your day; in a fully candid way, and also in a fun/cool way through creative portraits. With all that said; do YOU need getting ready coverage? Do you NEED getting ready photos?. My answer to you Guys, is No. No you probably don’t, if you’re looking to hire me. Here is why I don’t think you need dedicated getting ready COVERAGE…. but I will let you decide if my approach to getting ready photos is right for you. 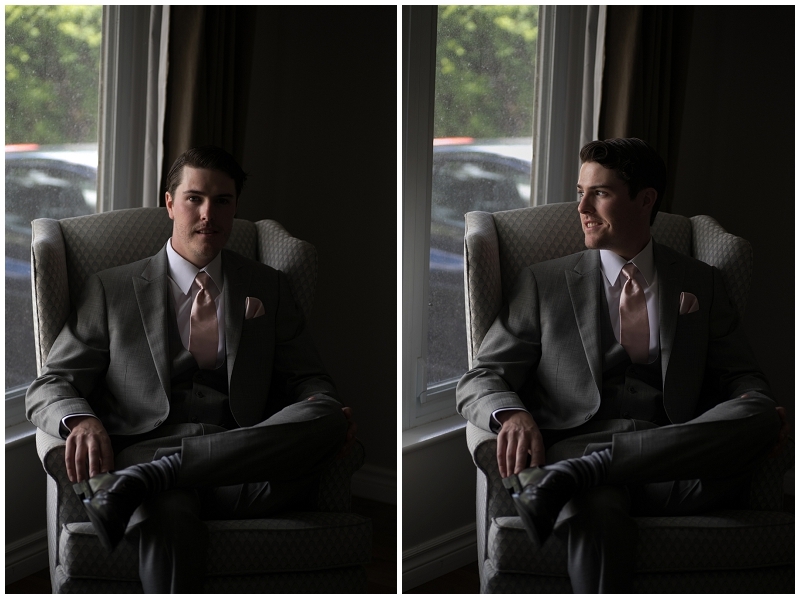 A) Not even close to ready – not showered, not all the guys in the same place, suits missing or whatever chaos seemed to find the guys on the wedding day… and the second photographer would be sitting around waiting… and then do “getting ready shots” in record time. While reading blog post, keep in mind that I generally work with an all girl team, so my gals typically don’t hang out for you get dressed from head to toe, but instead its usually requested that you’re dressed in pants, shirt and all the tricky accessories like ties and *cuff links are on and that pocket squares are pre-folded. 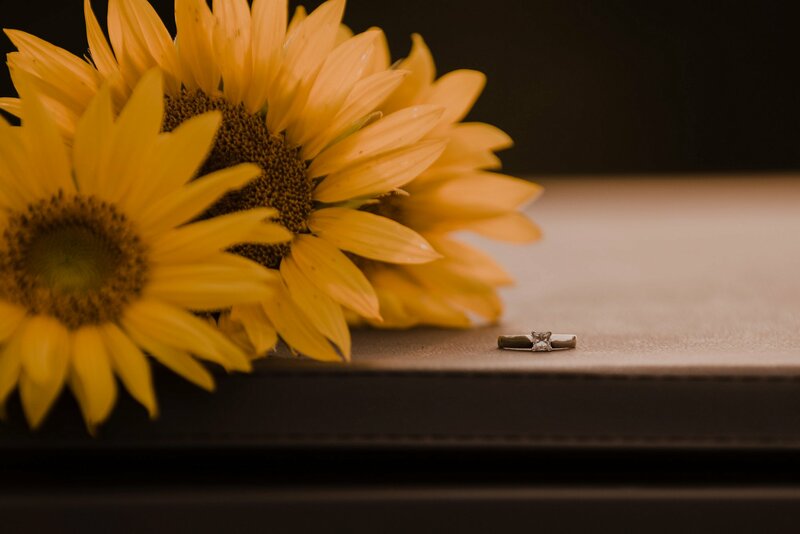 *The exception might be if you have a very special cuff link or accessory that you wish to have a stylized photo of. B) They’d be all completely dressed, leaving my gals with no details or moments to photograph, so we’d jump right in to doing fun creative shots with the guys, some portraits of just the Groom, pouring glasses of a vintage scotch; some lovely portraits with his parents if they are present , and some ‘faux prep’ shots if it felt right – such as “straightening his tie in front of the mirror, “putting on” his cuff links or Rolex. You don’t need traditional getting ready coverage. I’ve learned to do “getting ready photos” the Faux Prep style inside of 15 mins flat, a little longer if were going to do some formal portraits. They can be done at the church or ceremony venue; or wherever you are actually getting ready WITHOUT HIRING A SECOND PHOTOGRAPHER IF… you feel this is a good solution for you. You wont be able to get out of portraits entirely, but Im here to make things as painless as possible. One more thing to consider – why not just get ready together? Brides -Maybe you have been asking if you need getting ready photos too??? This post is for you. Should I Have Getting Ready Photos? 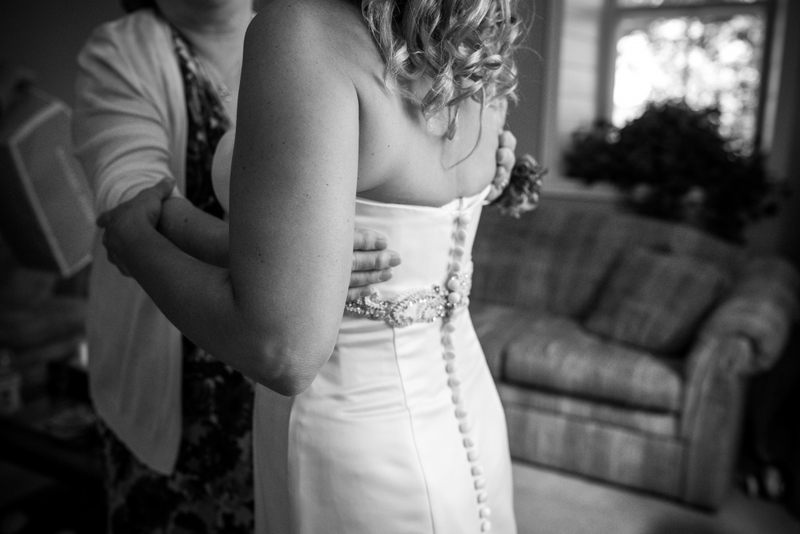 Getting Ready Photos – to do or not to do? It’s standard, and maybe you don’t do standard; so you’re questioning whether you really need getting ready photos. You do not need to do anything you dont want to do. There are no rules with weddings anymore (except the legal stuff that is…). More and more couples are opting for non traditional weddings that outline who they are in this moment of their lives. And that is awesome. The thing I like about getting ready photos is the candidness, and the energy that fills the room when your in the middle of getting ready. 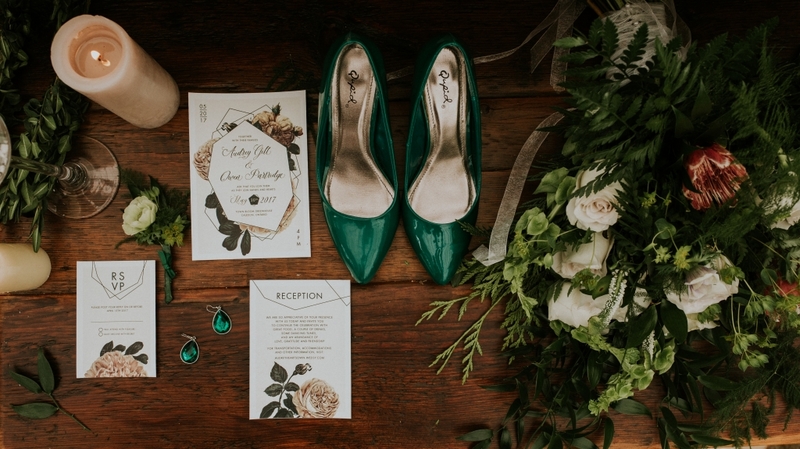 Emotions are high, the details you chose are beautiful and often meaningful, and the moment that you put them on will be etched in your mind forever, when you think about your wedding day. The thing to consider that may help you decide whether to have getting ready photos or not. 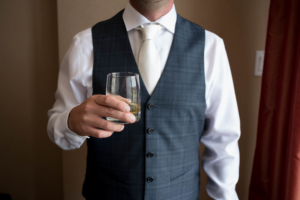 Are candid/documentary photos of the the people in the room with you more or less important than the posed/traditional ones that generally take place after the ceremony? 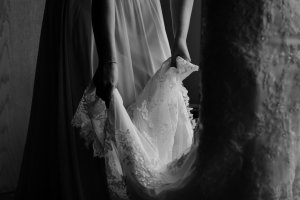 Are there special, heirloom details being used, worn, borrowed that you’d like to have a photo of that might otherwise get missed as the day goes on and gets busier? Is the person/people helping you into your dress, shoes, accessories someone that one day you’ll wish you had MORE photos of, and with? How do you imagine your wedding album from start to finish (and please dont tell me you dont need an album – even if you don’t get one from me, you need an album!). Do you feel like getting ready photos will help tell a stronger story? After answering these questions if you’re still unsure, you should ask yourself just this: Will I miss these photos? Will future generations miss these photos? If your answer is yes, that you should have some getting ready photos. If your answer is no, than nope. You don’t need them at all. Im going to briefly explain in a future post how to Fake Getting Ready Shots – but for now, I just want to touch on packages and inclusions. My packages are designed to take that getting ready stuff out of the equation. They aren’t based on hourly rates, but instead of moments and event based time blocks. All of my packages start at getting ready photos. I’m not there long, and do both bride and groom (or Bride + Bride, Groom + Groom…) if time allows (if you are in the same area), and I do this because I believe no one has ever regretted having getting ready coverage. More often than not, people will report saying that they had way too many reception candids of plus 1s, or slightly intoxicated cousins that THAT part of the photography was more of a waste to them. I have packages that end at the start of dinner, and ones that go through and catch about an hour of your reception – which is generally more than enough. Sometimes Im guilty of sticking around a little longer because Im having a great time with your guests and they’re loving the camera, but that’s another post all together 😉 Of course if you feel strongly about not having them – Im all to willing to do a custom package to meet your personal photography desires and I’d love to hear your vantage point on this! So I hope that helps you with your decision on whether to have getting ready photos covered. 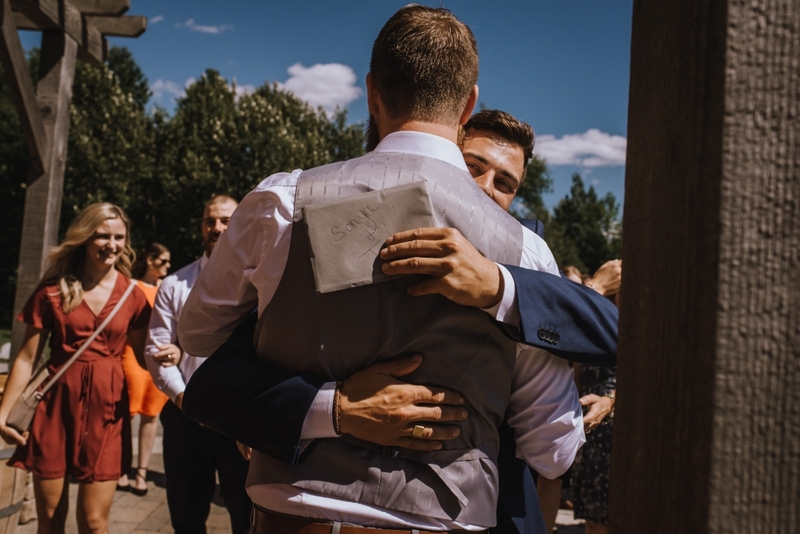 Also, you might like the post I wrote specifically to the Groom on getting ready photos, because I do think that guys tend to have a different outlook on this subject. So here’s my thought for today. 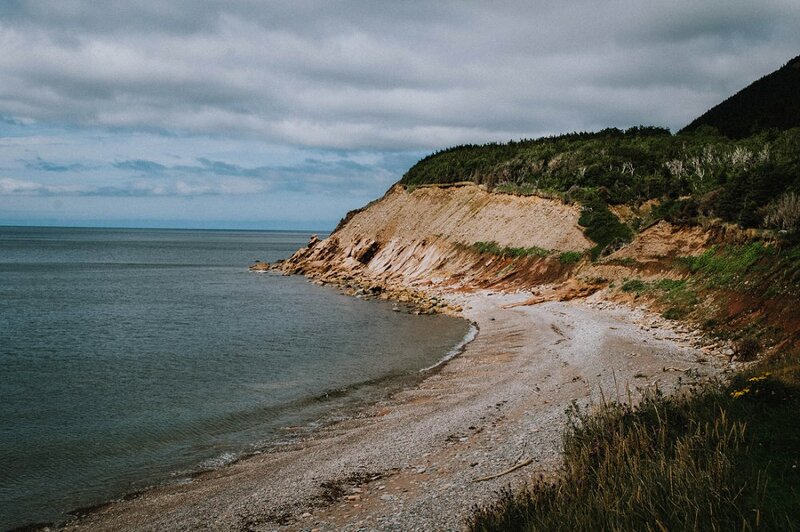 A Cape Breton Elopement is a VERY good idea. The scenery in the highlands is freaking awesome. 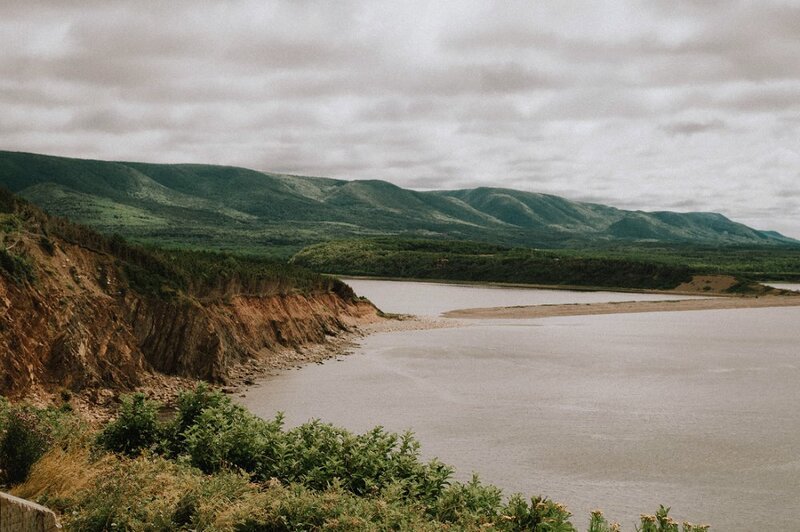 No – seriously – there are so many great spots to shoot along the scenic coastal drives (Ceilidh Trail, Cabot Trail and more! 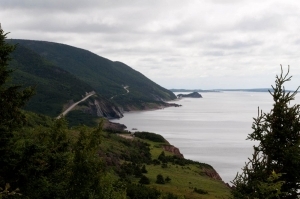 ), and also the damp, moody wilderness that Cape Breton Highlands National Park has to offer. There are also tons of super awesome shops and boutiques in the little fishing villages along the way. If whales are your thing, we could sit around and watch them too. Whales are my thing. Jusayin. Also. On my trip out there I learned how laaaaiiiid back it is – more so than any place Ive ever been. People are just so chill its unreal. The music is amazing too! Come away with me! 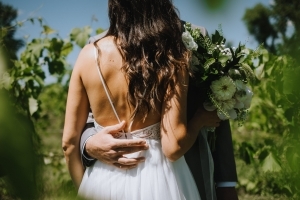 A Cape Breton Elopement or intimate wedding is a crazy good idea! It’s worth mentioning too that Newfoundland is just a ferry ride from Meat Cove also – and I have never been there yet! Looking for more inspiration for elopements or intimate wedding locations? Head over to my Buckets of Goals post – a list of all the places Im currently itching to shoot at! The sky is the limit on making magic in a place like Cape Breton.